Natural nails are cared for using our original signature spa natural nail care system, this luscious aromatic blend of skin loving natural ingredients and beautiful essential oils instantly improves the appearance of hands & feet, promotes nail condition & growth and conditions the skin. Treatments are completed with a choice of OPI nail lacquer. 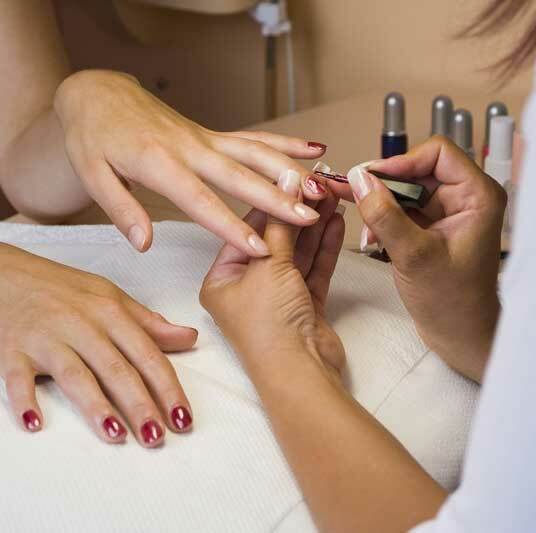 Prior to treatment: Your nail treatment will begin with a thorough consultation to assess your specific nail type and needs so that we can treat your nails accordingly. During the treatment: We take special care to provide everything required for your treatment, including our fluffy towels so all you have to do is relax. Always use a basecoat underneath nail varnish to prevent staining the natural nail. Always use a topcoat over nail varnish to help the varnish last long and appear shinier. Apply hand / foot cream everyday.